Amy has been helping people to feel their best since 1992. There are many reasons why a person turns to professional massage for assistance. It may be for pain, injury, stress reduction, or just to create a more regular health maintenance routine. Working with a variety of conditions over the years, Amy continues to learn and practice the most effective techniques, tailoring them for individual needs and preferences. Complaints that respond well to massage therapy include headache, soft tissue strains and injuries, TMJ, fatigue, sports injuries, digestive issues, insomnia and anxiety. 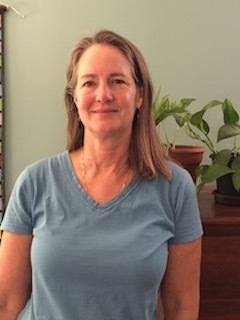 Amy uses Massage, Neuromuscular Therapy, Craniosacral Therapy, and Visceral Manipulation in order to facilitate the body’s own healing abilities. While the body is very important, the mind is also a key player and Amy has been teaching meditation and mindfulness since 2005. She has offices in Ashland and Hayward.